★ “TAD hated ‘sob’ stories” — Original by Louis Biedermann. SLANGUAGE. Wilfred J. Funk, the dictionary publisher, credited ten Americans with “fashioning the current American ‘slanguage.’” In order they were H.L. Mencken, T.A. “TAD” Dorgan, Walter Winchell, Bugs Baer, Ring Lardner, Sime Silverman, Damon Runyon, Gelett Burgess, George Ade and Gene Buck. 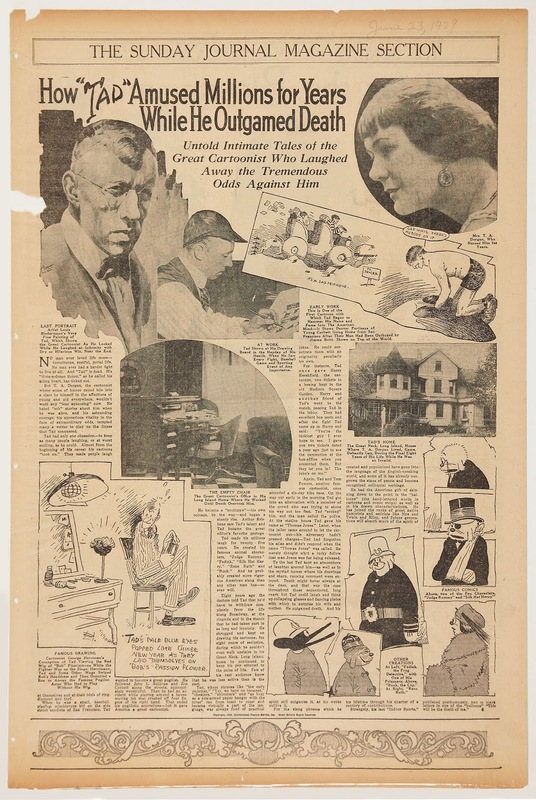 ★ Memorial to TAD in US papers, June 23, 1929. TAD is the writer-artist name of Thomas Aloysius Dorgan. Born in 1877 on April 29 in San Francisco, California, USA. Died aged 52 in 1929, on May 2 in Great Neck, Long Island. Married to Izola G. Dorgan, born around 1885. ★ Images courtesy of Brian Walker, a founder of the International Museum of Comic Art. ★ Full-page newspaper article titled How “TAD” Amused Millions for Years While He Outgamed Death. Untold Intimate Tales of the Great Cartoonist Who Laughed Away the Tremendous Odds Against Him. 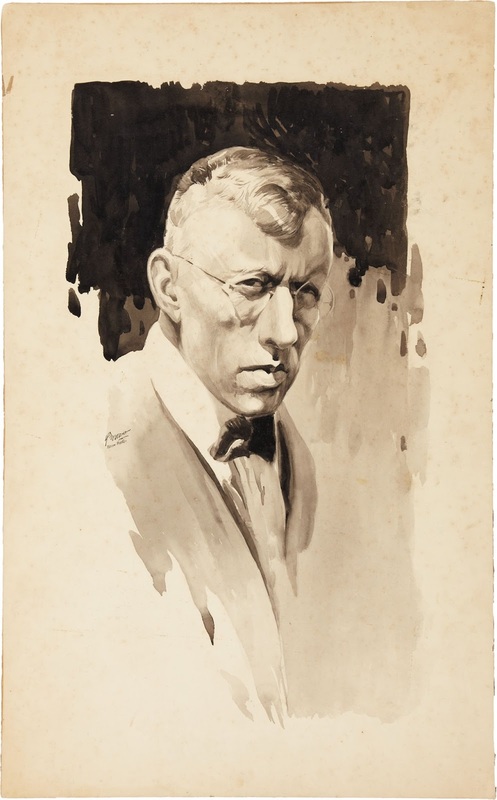 With a Last Portrait bij Louis Biedermann (who added “from photo” to his signature), four photographs, and illustrations bij TAD and George Herriman.